response from property - Feb 18, 2019 Thank you for the positive feedback, we appreciate you taking the time. I would recommen moving heresubmitted by Kaylei L. - Feb 03, 2019 |Recommended: YesIt’s a great area to live, everyone is so friendly. response from property - Feb 04, 2019 We appreciate the five-star rating and kind words. Thank you for taking the time to write about your positive experience with our staff. Please don’t hesitate to reach out if you need anything at all. The conditions have greatly improved and I’m happy with my surroundings.submitted by Nelson C. - Dec 07, 2018 |Recommended: YesIt’s a nice place to live and the neighborhood is good. response from property - Jan 09, 2019 Thank you for taking the time to submit a review. response from property - Nov 07, 2018 We appreciate the five-star rating and kind words. Thank you for taking the time to write about your positive experience with our staff. Please don’t hesitate to reach out if you need anything at all.  response from property - Aug 20, 2018 Hi Angie, Thank you for your five-star rating of Burlington Pointe! It is always nice to hear how everyone enjoys our community, thanks for the shout out! Very nicely ransubmitted by Jerome B. - Jul 04, 2018 |Recommended: YesIt's a nice and quiet place to live, no problems from the neighbors. response from property - Jul 10, 2018 Thank you for you positive review. We are happy that you are enjoying our wonderful apartment community! Team Christinasubmitted by KImberly E. - Jan 25, 2018 |Recommended: YesI would like to say thank you Christina. Since the company went under new management I was having a rough time with the transition. I felt like I was not being heard and looked down on as being a resident at Burlington pointe. It was not a pleasant experience. The communication was completely off. I decided to go into the office with a level head and try to come to some kind of understanding. I was fully prepared to be looked down on and treated as if I was not good enough, and to my surprise I was welcomed with opened arms and warm smile. It was so unexpected. I have not been treated with such kindness since the transition. I was not prepared for that. thank you Burlington pointe for giving me exactly what I needed. Christina I really appreciate you. Greatly improvedsubmitted by Kristen C. - Nov 03, 2017 |Recommended: YesSince Aion took over ive seen nothing but improvements every day and i was going to move but since tey took over im a lot happeru they care about the residents the management in the office is wonderful and so ia the maintenancde staff. Keep u the fantaastic work Aion.